To receive your complementary Johnnie Walker Blue label custom engraved bottle, please complete the form below. Your bottle will be available for pickup at the Johnnie Walker pop-up shop powered by Giftagram. PLEASE DRINK RESPONSIBLY. 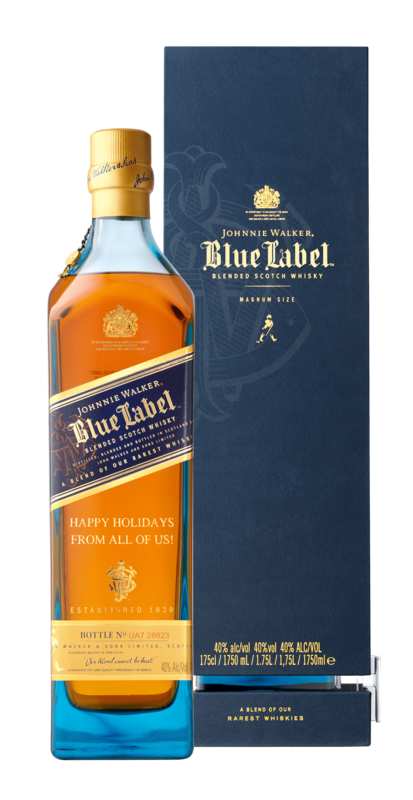 JOHNNIE WALKER BLUE LABEL Blended Scotch Whisky 40% Alc/Vol. Imported by Diageo, Norwalk, CT.